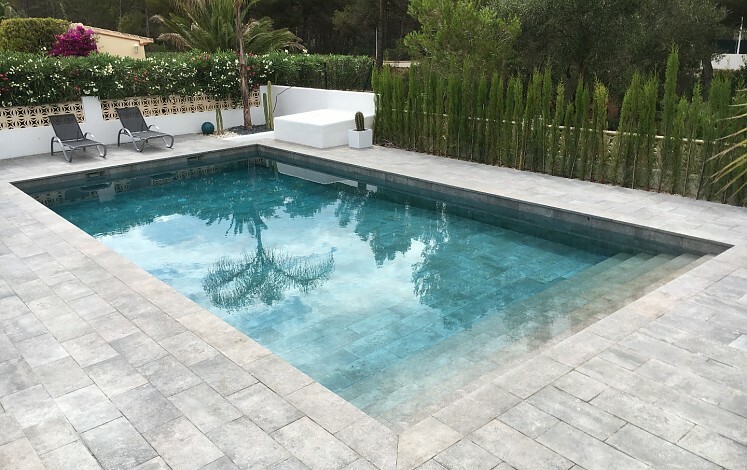 Reformed pool of rectangular shape and right angles. Interior stairway from side to side. 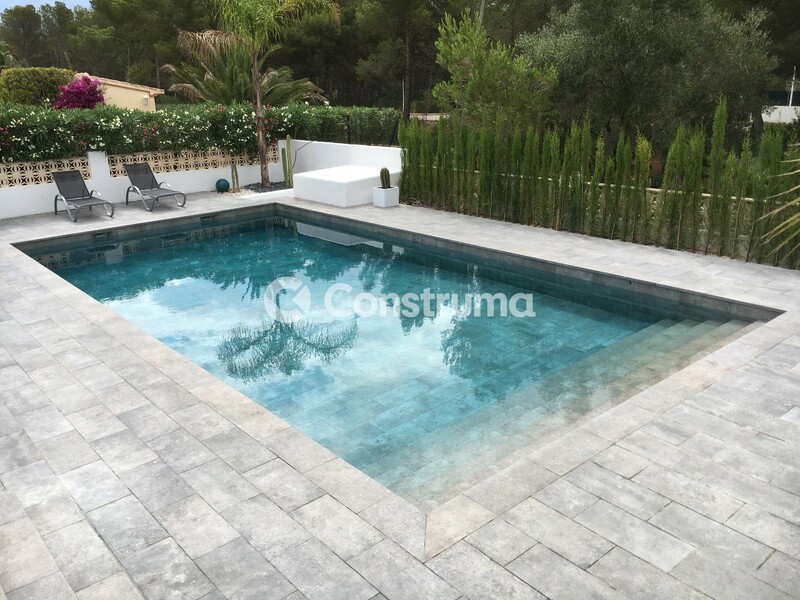 Tiling of the pool: Rosa Gres porcelain stoneware, the same as the terrace.